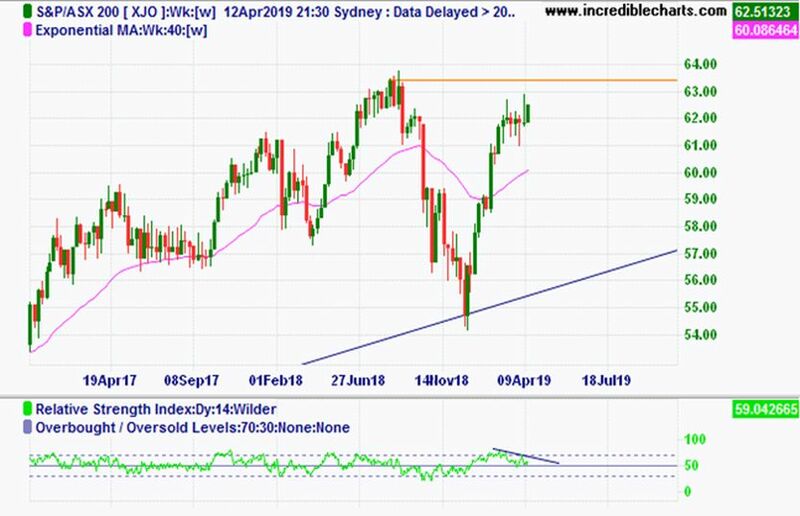 Onwards and upwards we go with the short-term trend on the ASX 200 continuing its march towards the most recent peak around 6350. As I mentioned last week our market is going to wax and wane depending on which political party investors think are going to win the upcoming election. And I have to say it seems Bill's first week on the campaign trail didn’t go so well and has the market optimists pushing the ASX 200 higher. Technically our market is looking good to reach 6350 where it should see some technical resistance. If I had to look into the crystal ball and predict the technical pattern I would see a gradual move up or sideways until the election and assuming Labor stumble over the line we’ll settle into the downtrend we had to have prior to the upcoming recession in the medium term which will provide some great buying opportunities, especially in the financial sector. 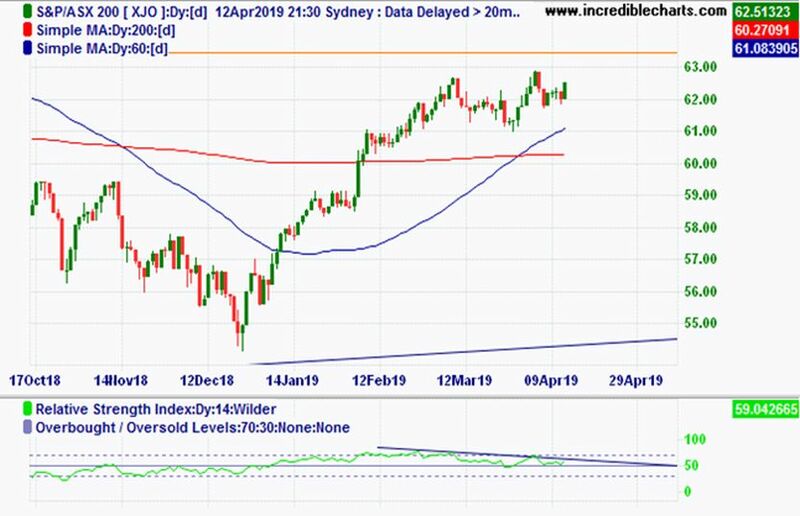 Back to the technical indicators and you will see that on all three charts the ASX 200 has clear bearish divergence on the RSI. This generally precedes a short to medium term correction. From a technical perspective and without sounding like a broken record or a weather forecaster the short term is still sideways to up with the medium to long term outlook looking a little grim. 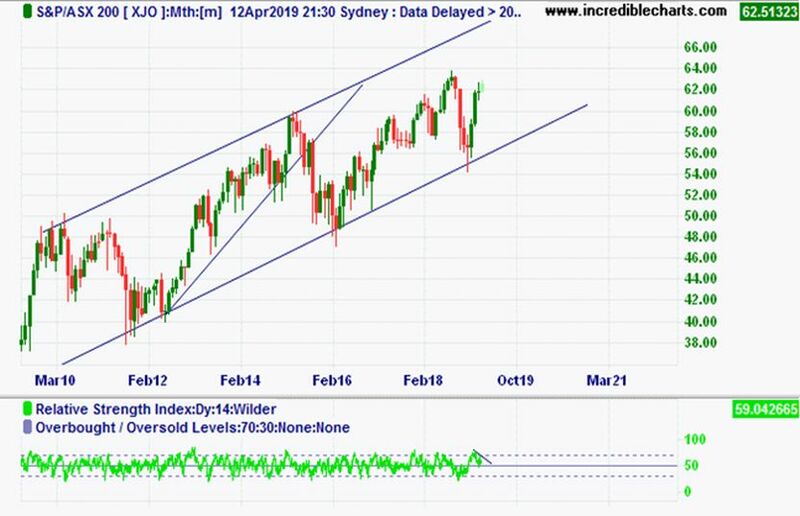 Looking overseas and at the weekly S&P 500 chart below you could be forgiven to think it was our ASX 200 chart they are so similar. 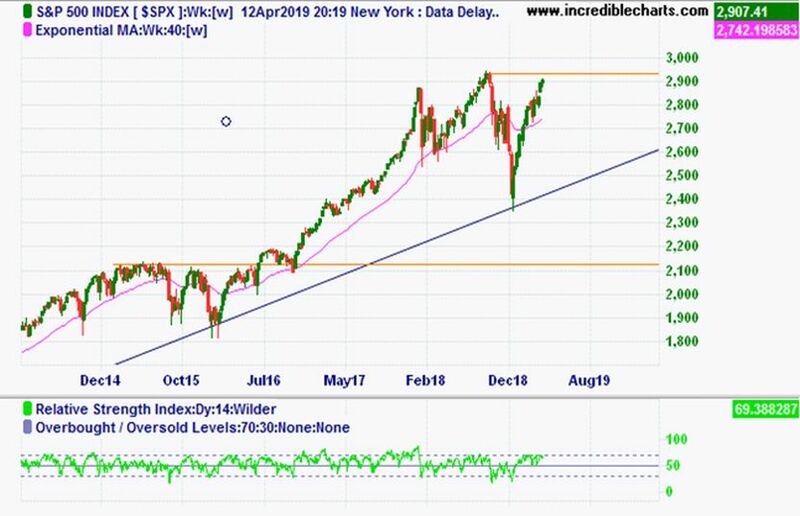 It seems that we are linked very closely to the US movements lately and as mentioned with our market the S&P 500 also has very clear bearish divergence on the RSI and would suggest that in the near term there is going to be a correction. In summary the key take home from the technical indicators is caution. 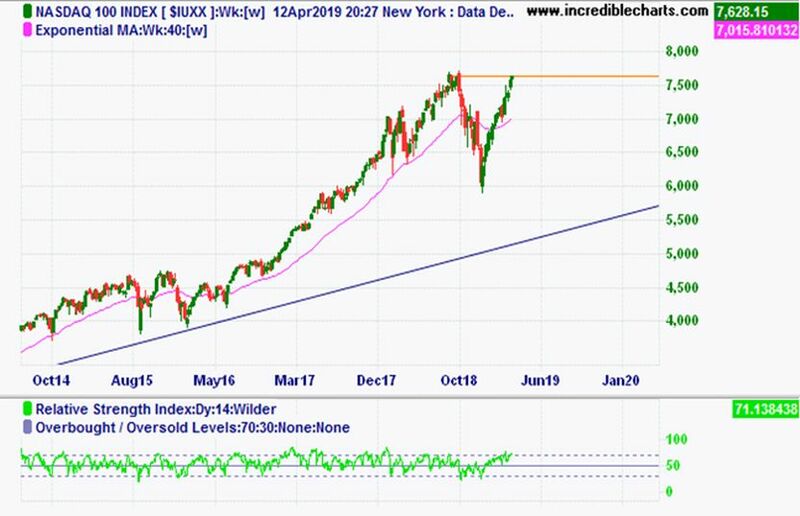 One Index to keep an eye on next week is the NASDAQ as it is at its all time high and it will be interesting to see if it can punch through the previous peak high of around 7650. It seems the social media giants who are the modern-day version of Tobacco companies can do no wrong. Enjoy your week.